The multipurpose motor controller CMMT-AS is specifically designed for use with the toothed belts, spindle axes and electric cylinders by Festo. In combination with the company’s automation platform and other integrated motion control solutions, it provides virtually unlimited opportunities for implementing industrial automation tasks. 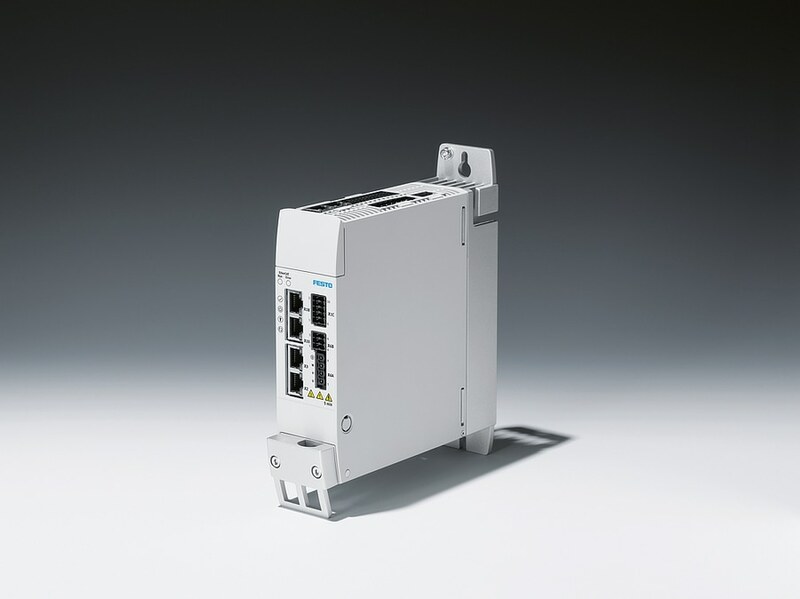 Thanks to the variety of available field buses such as Profinet, Ethernet/IP, Ethercat and Modbus, the controller is excellently prepared to communicate with almost all programmable logic controllers. The multipurpose motor controller CMMT-AS has a deliberately functional and clear design. Thanks to its modular structure, it adapts to all requirements.